Wasteful electricity transmission spending is hurting California communities. Our reforms will fix this. Today, transmission charges, called “Transmission Access Charges” or “TAC,” create a massive market distortion that could cost Californians billions of dollars in unnecessary electricity transmission spending over the next 20 years. If we do not fix this problem, soon it could cost more to deliver energy than to generate it. This will only get worse as California moves to clean energy, electric vehicles, and building electrification. Distorted transmission charges steal 3 cents per kWh from clean local energy projects — raising the cost of this energy by as much as 40% and disadvantaging an industry that has the potential to drive economic development for every community in the State. It wouldn’t make sense to pay the Golden Gate Bridge toll if you don’t cross the bridge. But this is how we are charged for electricity transmission in much of California. Currently, ratepayers pay the same charge for “using” the transmission system whether or not the energy they use travels across it. This has huge consequences for ratepayers, because it causes community choice aggregators (CCAs) and investor-owned utilities (IOUs) to ignore the transmission costs when they buy energy for customers — so they often end up buying energy from distant sources that need billions of dollars of wires to reach customers. The more utilities buy remotely generated energy, the more transmission has to be built to carry it, driving up California’s energy bills. In other words, utilities buy energy that’s cheaper for them, but more expensive for all of us. Bottom line: the current way of charging for transmission is outdated now that clean local energy provides an efficient alternative to remotely generated energy. Our reforms will price in the cost of transmission for remotely generated energy correctly so that utilities will buy the energy that is truly most cost-effective for customers. By aligning pricing with reality, this reform will correct the existing market distortion that has led to explosive growth in transmission spending and depressed the development of clean local energy. Charge for electricity transmission based on actual use of the transmission grid. This sounds good in theory, but does it work in practice? Yes! Most of California’s independent municipal utilities have been saving ratepayers money for decades because they are assessed transmission charges based on actual use of the transmission system. These cost savings make local resources much more price-competitive and help these municipal utilities limit their impacts on the transmission system. Now, the big private investor-owned utilities need to follow suit. Our suggested reforms will make it State policy for the cost of electricity to include both the cost of generating energy AND the cost of delivering that energy to consumers. 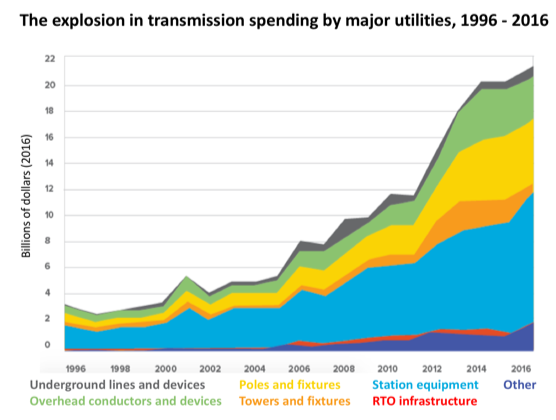 DER contain the excessive growth in transmission spending, a fact acknowledged by CAISO and the California Public Utilities Commission (CPUC), and supported by irrefutable evidence. Reduce the costs of clean local energy by 3 cents per kWh. Save Californians billions of dollars in unnecessary transmission costs over 20 years. Keep energy dollars in local communities by spurring investment in local renewables. 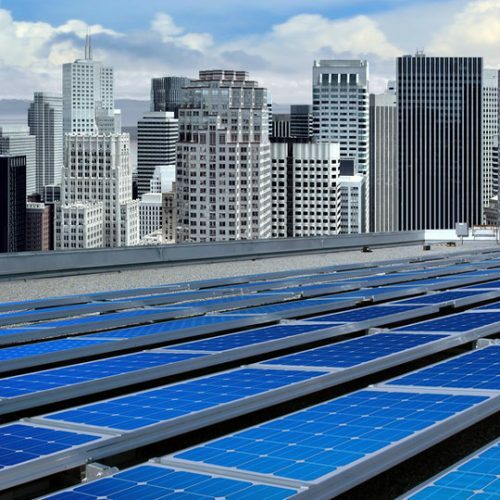 Improve resilience by building more clean local energy resources. 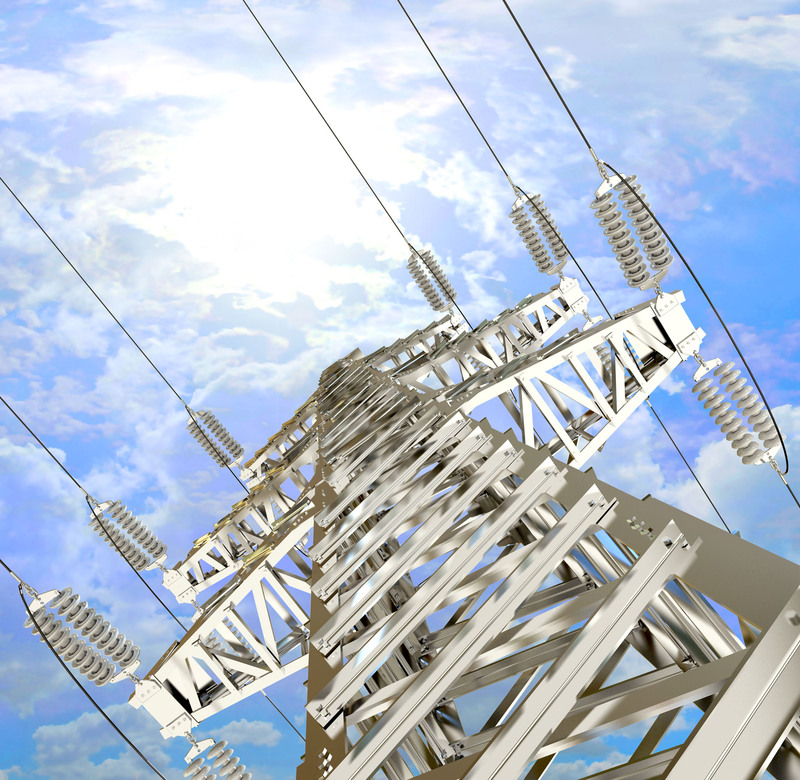 Protect Californians from unfair transmission costs under a regional electric grid. Doug Karpa, Policy Director with the Clean Coalition, presented on the TAC Campaign in this webinar on May 10, 2018. Previous webinars are available here. The Clean Coalition's TAC proposal ensures that the transmission grid is consistently paid for by energy that actually uses it. Importantly, this approach accurately values all local renewables and other distributed energy resources for avoiding transmission use. Bravo to this effort, which I am pleased to support. This is a question of equity, environmental justice, and fundamental fairness. 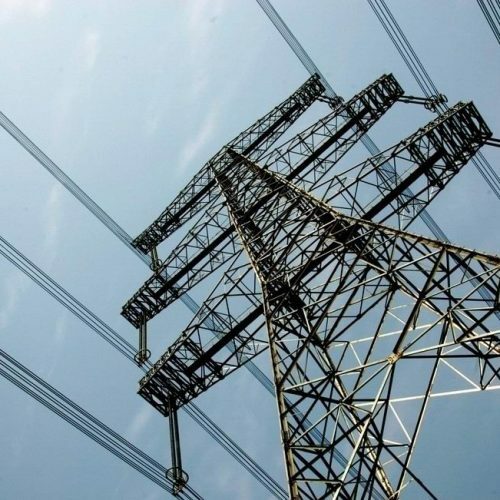 Ratepayers are being extorted by utilities profiting from excess transmission investment, and regulators have failed to make simple reforms to limit excessive transmission growth. This “business as usual” situation is no longer acceptable. Today, CAISO has recognized this is a genuine issue, but is deferring to stakeholders with vested interests in ever more transmission spending. This means that the state of California must step in through the legislature and the CPUC to develop a comprehensive roadmap for transmission cost recovery that will stop penalizing utilities and CCEs that are doing their part to make the transmission system cheaper for everyone. Please add your voice to those of our elected officials and regulators demanding that this expensive system be fixed. July 18, 2018 revised comments on CAISO’s second TAC structure straw proposal: Addressing the concerns and issues raised by CAISO with respect to its second straw proposal on the TAC structure. April 25, 2018 comments on CAISO’s second TAC structure straw proposal: Addressing the concerns and issues raised by CAISO with respect to its second straw proposal on the TAC structure. February 15, 2018 Clean Coalition white paper on TAC rate design: Outlining the specific cost-shifting impacts, relationship to cost-causation, legal requirements, and specific technical aspects of TAC rate design.